Ahhhh, beautiful. Happy Spring Beth. Happy first day of Spring Beth. I am astonished that our weather report says 23 degrees and snow Wednesday. Ouch. Come on, spring, Beth! oh no – it’s kind of arriving in fits and starts here. 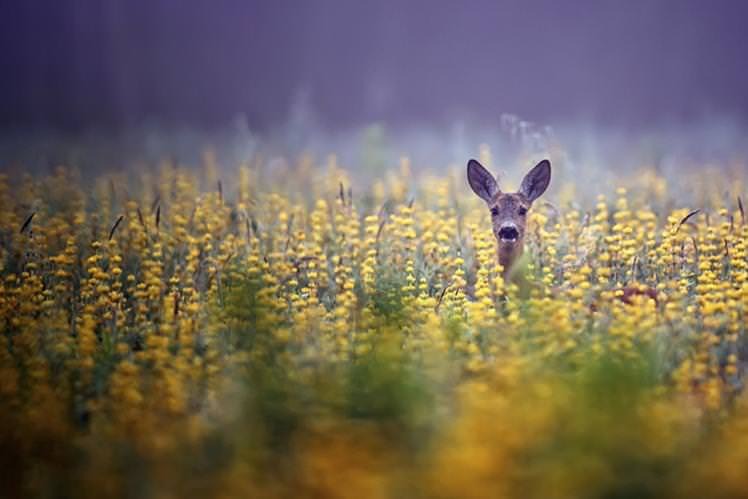 peeking out like that deer above – hopefully soon for both of us ! Yes! I’m looking forward to more wonder. Two dear beings in one post; cool! I live in Iowa….northern Scott County and seeing Deere roam free is a weekly sight that we never ever get used to seeing. Beautiful and elegant creatures. …except for the not-so-elegant damage they can inflict upon a motor vehicle. Oh deer!!! I tell you what, after I got off stage at church yesterday, I went to man the exit doors as folks were leaving. I opened the double doors and out before us lay a huge field of green grass and blooming trees and donkeys and sunshine, and a man walked out, and we just stood there staring at it. “Is there anything prettier than springtime?” I asked. Everyone kept saying, “What a beautiful day!” It really was. I hope it comes your way soon! “Perpetual astonishment” I like the sound of that. Happy springtime, Beth. May it be one full of warmth, very soon! The image of the deer … He/ she looks like a mule deer… I never get tired of watching mule deer….so curious. Enjoy the entry of Spring in your neck of the woods. True Beth. This spring will never be again. Thank you and Happy Spring to you. thanks – i needed a change from the grey here. Happy Spring! Absolutely lovely, I agree. Nature is beautiful in splendour. Thank you and Happy Spring to you.